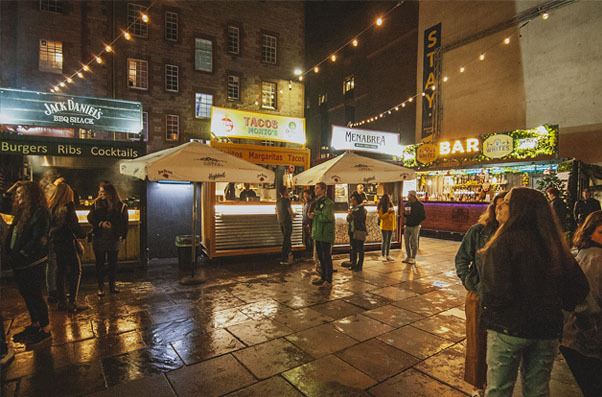 Kerbside is the only place to go to get the very best Street Food Edinburgh has to offer! Our converted street food containers are your one stop shop for fresh delicious street food. Whether you are finishing up at work and heading out with the team or going on a night out with the gang. But don’t take our word for it… Come down and try it all for yourself! Our Facebook and Instagram are both totally buzzing with the latest gossip, specials and events so you MUST go check them out… Like right now! Stay tuned to our Facebook for upcoming date announcements. Don’t forget you can enjoy our in house Street Food Container every weekend.